Tori Bateman, Monica McFadden, and Nathan Hosler of the Office of Peacebuilding and Policy. “I looked, and there was a great multitude that no one could count, from every nation, from all tribes and peoples and languages, standing before the throne and before the Lamb, robed in white, with palm branches in their hands” (Revelation 7:9). In 2007, the Church of the Brethren Annual Conference delegate body adopted the “Separate No More” statement, which calls us to become the multicultural, multiracial, multinational, and multilingual church envisioned in Revelation 7:9. The vision in scripture and the one to which we committed is greater than a photogenic diverse hymn sing. It is a vision that recognizes how, as we draw closer to God, we also draw closer to one another. We become more compassionate in relationships as we see one another the way God sees us. In an effort to better express this, we changed the names of two core ministry areas. Discipleship Ministries (formerly Congregational Life Ministries) reminds us that our faith journey is not defined by our congregational affiliation, but by our spiritual journey—both individually and collectively. This also means that having a right relationship with God is shaped and shared through building right relationships with one another. The Office of Peacebuilding and Policy (formerly Public Witness) as a ministry in Washington, D.C., connects our faith with our national identity. To stand together, bridging the divides of the world, we are peacebuilders in the spirit of Christ. In the New Testament, one Greek word used to describe the body of Christ is “dikaios,” which is translated righteousness but also justice. Since both can be used in English, we can call this work either racial justice or racial righteousness; however, scripture does not separate the two. By faith, we are called to be discipled within our church and, as a result, to work for change in systems, structures, and habits of racism in society. Not assuming that we already possess righteousness, we seek to have right relationships and to address problems in the world. The work to heal the wounds of racism is both internal and external and has the goals of justice and righteousness. To do this work means being shaped and formed by the process of discipleship. Many congregations have been doing this work in their communities. Several members of the Mission and Ministry Board and staff have taken the Sankofa Journey. Young people attend Christian Citizenship Seminar in Washington, D.C., and New York to connect their faith with contemporary social justice work. Discipleship Ministries hosts a pre-Annual Conference training with the goal of exploring how our faith can shape our understanding of racialized hierarchies. Intercultural Ministries provide support to individuals and congregations engaged in ministry. To increase our awareness of how government policy creates racialized experiences and discrepancies, we are testing a new Brethren Volunteer Service position in the Office of Peacebuilding and Policy through a partnership with Intercultural Ministries and the Global Food Initiative. Monica McFadden, who served in our office last summer as a Ministry Summer Service intern, recently accepted the call to serve in this role. Thank you for partnering in this work through your support of the Church of the Brethren. By working in your community and supporting these denominational ministries prayerfully and financially, this work can be expanded in the years ahead so that the church can better live into God’s vision of diversity. Through being faithful disciples—growing in righteousness and justice—all of us are engaging in the vital work of healing in our churches and communities. Learn more about the work of the Office of Peacebuilding and Policy at www.brethren.org/peacebuilding or support it today at www.brethren.org/give. The 2017 Ministry Summer Service interns at orientation. “Before dawn Jesus went out to them, walking on the lake. When the disciples saw him… they were terrified… Jesus immediately said to them: ‘Take courage! It is I. Don’t be afraid.’ ‘Lord, if it’s you,’ Peter replied, ‘tell me to come to you on the water.’ ‘Come,’ he said. Then Peter got down out of the boat, walked on the water and came toward Jesus” (Matthew 14:25-29, NIV). When I think of the courage and faith it took for Peter to step out of that boat, I am in awe. The disciples were on a boat by themselves, in the middle of a huge body of water, in the middle of the night, and they saw a figure walking on the waves toward them. Seriously?! What would you have done in that situation? Would you have had the courage to respond to the mysterious, perhaps even frightening, voice you’d heard, as Peter did? And if you did have the courage to respond verbally, would your faith have given you the strength to get out of the boat? Just like Peter, we all probably would cry out for help if we felt ourselves sinking, but I wonder if most of us would have even gotten that far. Many of us may have been too frightened—by the storm itself, by the odd approach of Jesus, or both—to do anything but sit in the boat, close our eyes, clutch our arms a bit tighter, and try to imagine anything other than the current, alarming situation. I see a strong parallel between the courageous steps of Peter and the courageous steps of Ministry Summer Service (MSS) interns. Clearly none of the interns have walked on water, but each has indeed responded to a sense of call. And beyond just sensing a call, these college students chose to leave familiar, comfortable environments and “get out of the boat.” They traveled to unknown places to explore ministry while also living in a new place, meeting new people, eating new food, and learning a new culture. These tasks aren’t exactly “walking on water,” but they do demand faith, courage, and often a healthy sense of humor! Like Peter, interns may, at times, feel like they are being swallowed up by overwhelming waves. But Jesus will no more allow an MSS intern to “sink” than he allowed Peter to sink. Of course, one’s faith could always be stronger, but consider how much faith it takes to get out of the boat in the first place! Our 2017 interns have finished their service with MSS, but still need prayer. Please pray for Kaylie, Laura, Brooks, Cassie, Laura, Nolan, and Monica (featured above in the front row, from left to right). Pray that the Holy Spirit would continue to move powerfully in their lives and make clear their vocations. We also invite you to pray for the 2018 interns, who have yet to be identified. Is there anyone you could encourage to participate in Ministry Summer Service as a way to explore ministry while earning a scholarship? I am grateful to all who pray for and give to Ministry Summer Service, the Church of the Brethren program that supports young adults as they consider their vocational calling from God. I am grateful to the mentors and ministry sites who journey with MSS interns for a summer. And I am grateful for the young adults who are brave enough to spend 10 weeks of their summer thinking about their faith, their lives, God’s world—and how those elements will be woven into the fabric of their future! 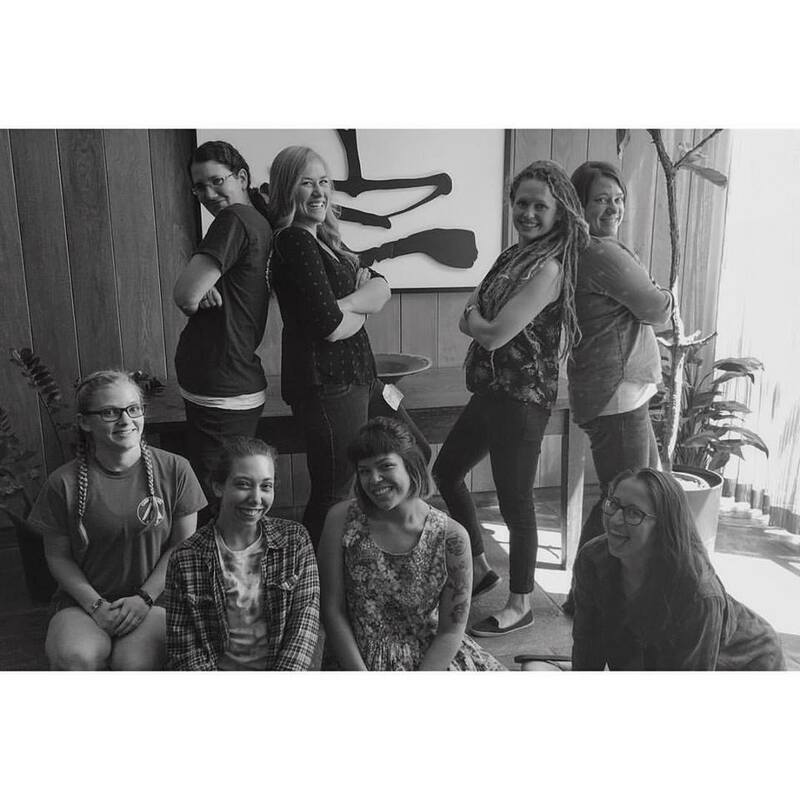 Will you take a step of faith, like our interns, and support the Church of the Brethren? Ministry Summer Service (MSS) is a leadership development program for college students in the Church of the Brethren who spend 10 weeks of the summer working in the church (local congregation, district office, camp, or national program). Applications for MSS 2018 are due January 5, 2018. Learn more about this ministry of the Church of the Brethren at www.brethren.org/mss or support it today at www.brethren.org/give . to students at Buffalo Valley Church of the Brethren. By Donita Keister, associate pastor for Children and Pastoral Care at Buffalo Valley (Pa.) Church of the Brethren and Mission and Ministry Board member. Days are refreshingly cooler now that Fall has finally arrived. This summer in central Pennsylvania was particularly warm, and had a unique sense of warmth for me that went beyond the sun’s intense rays. Each summer at Buffalo Valley Church of the Brethren, I supervise a summer full of programming for children in our community that includes a Wednesday day camp along with other ministry activities. Last fall our Children’s Ministry Team became aware of Ministry Summer Service, a leadership development program during which college students in the Church of the Brethren spend nine weeks in a church-related setting. As we applied to become a site for an MSS volunteer, we looked forward to the extra set of hands and feet that would lighten the heavy load of summer ministry. We were excited to learn that our application was accepted and we would welcome Ruth Ritchie-Moore into our lives and ministry. As we prepared for her work among us, I slowly gained a deeper understanding of what MSS was all about. Yes, Ruth would be among us as “hands and feet,” but the relationship would go well beyond that to a place of heartfelt ministry on a number of different levels. I learned that I would have the responsibility to mentor Ruth, who had entrusted her summer to my care. Her experience with our congregation would help form her view of her own ministry and call in her chosen vocation. Ruth and I were partners as we planned our times of ministry with the children. I challenged her to confidently grow in her obvious ability to articulate her particularly deep insights and to share her heart. She challenged me to be organized and prepared for my day (although I’m pretty sure she was not aware of that… I have a tendency to “fly by the seat of my pants” more often than I should). I challenged her to be open to God’s calling in surprising and unexpected places. Her quiet and reflective presence challenged me to “be still and know” daily with more intentionality and presence in order to see God’s hand at work. These lessons and others brought the unique sense of warmth and friendship into our mentor/mentee relationship. As our time together drew to a close I discovered new things about Ruth that I wished I had seen earlier. I wished for more time at a slower pace, not only so I could mentor her longer, but in order that she could continue to “mentee” me. Ministry Summer Service is a shared ministry of Youth and Young Adult Ministries and the Office of Ministry. Your gift to the Church of the Brethren supports faith and leadership formation programs like this. Learn more about Ministry Summer Service at www.brethren.org/mss or give now at www.brethren.org/give. Tyler leading chapel at the General Offices. This summer, I worked at the General Offices in Elgin, Ill., as a Ministry Summer Service intern with the communications and Messenger staff. A writer by trade and Brethren by choice, I found it to be a fulfilling internship in many measures. I began the summer not knowing how to cook or budget, or how to occupy my free time. Through dedication and practice, I resolved these things and have gained much confidence in myself. I even started to understand flavor pairings with foods and what works well together. I know in restaurants what works, but when doing it for myself on a budget, I had to be creative. Independence has never been my strongest trait, and I was genuinely worried at the beginning of the summer about how I would function on my own in an unfamiliar city. Not having a car was a major concern. I’m from rural northern Indiana, where it is absolutely necessary to have a reliable car. When everything, from the grocery store to the bowling alley, is at least a 20- minute drive away, you become quite accustomed to driving everywhere. This is why I had initial anxieties about living without my car. I had a bicycle, which helped with these anxieties. Through the summer, I did quite well, and even became more confident in my abilities and in pursuing my goals free from the expectations of others. Not only did I do well on my own, I enjoyed it. My work this summer pointed me in a good direction professionally. Being part of the news team at Annual Conference showed me that not only am I capable of working with high-pressure deadlines regularly, but I love it. I had the thrill of working during Conference, writing a story every night, and meeting and interviewing people. It was very vocationally fulfilling. Perhaps the most valuable growth in me this summer was in self confidence. I put on a good face when necessary, but often I am cripplingly shy and full of self doubt. Or at least I was before this summer. Having to function on my own and discovering that I excel at it was a tremendous boost for my self confidence, and successfully completing quality work under pressure assured me that I am following the path I am intended to. Tyler Roebuck was one of 10 young adults who served across the denomination this summer through Ministry Summer Service. Learn more about this ministry of the Church of the Brethren at www.brethren.org/mss or support it today at www.brethren.org/give . Youth Peace Travel Team 2016 – Orientations! YPTT 2016 and their mentors. From L to right, back row: Audrey Hollenberg-Duffey, Sarah Neher, Chelsea Goss, Dana Cassell. Front row, L to R: Phoebe Hart, Sara White, Kiana Simonson, and Jenna Walmer. Hello friends! The 2016 Youth Peace Travel Team is so excited to start sharing our experience with y’all this summer! We just finished up our Ministry Summer Service (MSS) training and are enjoying the first week of camp. We want to introduce ourselves a little bit and get y’all acquainted to the blog again for the summer. Each week there will be an introduction about where we are and each team member will share a little bit about their favorite experience that week. Hello everyone! At MSS, I really enjoyed reconnecting with old friends and creating new friendships. I appreciated the time shared laughing in community, but also the spiritual discussions we had through lectio divina, examen, and other lessons throughout the week. My favorite moment during training was when we pulled into the hotel parking lot and “Don’t Stop Believing’ by Journey came on the radio and we all sang it at the top of our lungs. Can’t wait to share more exciting experiences throughout the summer! Greetings friends! We have finished up training and arrived at our first camp. Training was full of connection, community, learning, and love. I am always awestruck by the number of gifts the young adults of the church bring when we gather. I feel beyond blessed to be supported by such grace and sophistication. The Youth Peace Travel Team (YPTT) was able to spend time with representatives from On Earth Peace, Outdoor ministries, Church of the Brethren, and Bethany Theological Seminary. Learning more in-depth information about the organizations and spending time with the faces of each extension of the church was an enriching experience. Exploring our call to peace and service with those of us a little older and wiser was an experience that I will be able to carry with me in my pocket as the team moves forward. The team then joined with fellow MSS interns to build a community of those serving and exploring vocation this summer. The week was filled with laughter and building friendships that we will also carry with us as we travel around the country this summer. I am thankful for all of the learning we have done so far. But above all, I am thankful for the love that surrounds us as the YPTT, as members of the church, as friends, and as children of God. We are blessed. We are members of one family. Greetings all! Over the past two weeks of training I have been blessed to get to know and share many growth experiences with my fellow YPTT members and Ministry Summer Service interns. Particular special for me was the opportunity for us all to plan and lead the Wednesday morning chapel service for those in the Elgin offices. We chose the theme of hope, reading from Romans 8: 22-28. As I head out this summer, I am hopeful for the opportunity to connect with Brethren from around the country, united by our common call to follow the life of Jesus. 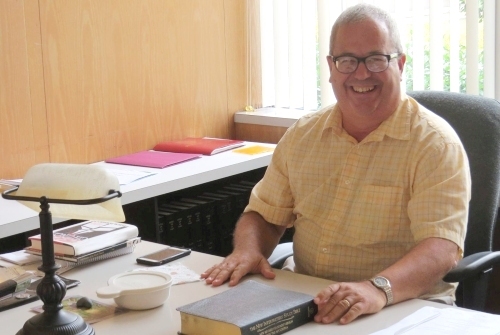 In visiting the offices in Elgin as well as Bethany Theological Seminary, I found a special sense of connectedness and support as we all head out on this journey together. I hope that we can share this spirit of community, and through it Christ’s spirit of peace, with all of the campers we encounter this summer. Hey, y’all! I am so excited to be at our first camp. Training has been so great, both at YPTT orientation and MSS orientation. At Bethany Theological Seminary, I really enjoyed learning from professors and eating dinner with church leaders and friends of the Youth Peace Travel Team. We had three really great leaders for the week – Bekah, Marie, and Nate. They all had a lot of good advice and wisdom to share. When that was over, we went to Ministry Summer Service orientation in Elgin, at the main offices of the Church of the Brethren. My favorite part of training was, again, getting to eat dinner with different people around the area. One night we met some amazing local leaders in the church and got to have a sort of “panel” with them. Though the invite wasn’t exclusively given to women, the leaders in attendance were all amazingly inspiring female pastors and leaders in the church, and hearing about their journeys was a wonderful experience. I also really loved talking with my mentor throughout training, because I got to learn a little about her time on YPTT and we got to discuss what it might be like this summer. I’m pumped to see what the rest of the summer holds! to make way for our God, your help is essential. January. A new beginning. A fresh start. In these first few weeks of the year, we have the perfect opportunity to take stock of lifestyle habits, try new patterns, set goals, or even chart a new course altogether. For Christ-followers, it only seems natural to also consider how to love God and neighbor in new ways. 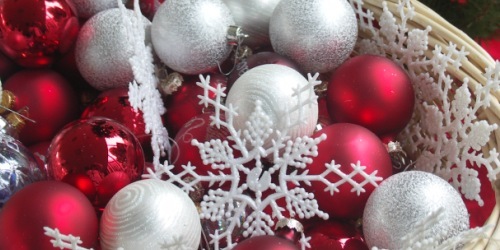 In seeking to respond anew to the movement of God, I can’t help but think of our recent celebration of Christmas. The prophet Isaiah shares, “In the wilderness prepare the way of the Lord, make straight in the desert a highway for our God. Every valley shall be lifted up, and every mountain and hill be made low…. Then the glory of the Lord shall be revealed” (Isaiah 4:3-5). While this scripture is traditionally used in beautiful Advent liturgies and alludes to the coming of the Christ-child, it is also a call to continually make way for the Kingdom of God in our world. Our God is coming, and we need to move mountains to make the road ready. This challenge from the prophet also reveals the way in which God, as our sovereign Lord, desires for us to be prepared for the Holy Spirit to make bold moves in us and through us every day. Changing geological features as Isaiah describes certainly seems like a daunting task, but as Jesus shared with his disciples, faith the size of a mustard seed can move mountains (Matthew 17:20). 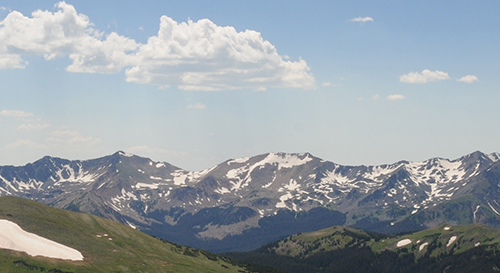 By trusting in our Savior, we have enough faith to raise any valley and flatten every mountain. With Jesus, every roadblock to God’s Kingdom is removed. As we begin this year, your Church of the Brethren staff are planning for numerous opportunities to make way for our God and share love with one another. Brethren Volunteer Service is getting ready to recruit, train, and place volunteers in the US and around the world. Congregational Life Ministries is preparing to grow faith and train leaders at events like the Church Planting Conference and National Young Adult Conference, and partner with the Office of Public Witness to facilitate discussions about “Proclaiming Freedom: The Racial Injustice of Mass Incarceration.” The Workcamp Office is gearing up for a summer of “Blazing with Holiness” at more than 20 workcamps in the US, Puerto Rico, and Northern Ireland. Youth and Young Adult Ministries and the Office of Ministry are preparing for Ministry Summer Service interns and mentors. Global Mission and Service continues to walk with international partners and sense new places where God may be leading. In preparing for God’s favor and a fruitful year of ministry, we recognize that we can’t do this alone. As the saying goes, “many hands make light work.” Now and throughout this year, we need your prayerful and financial support. As we seek to raise valleys and lower mountains to make way for our God, your help is essential. We pray that you will join us as we love God and neighbor in the year ahead. 2,390 students, advisers, staff, and volunteers attended National Youth Conference (and 19 from international Brethren groups). 123 volunteers served 248,720 hours at Brethren Volunteer Service projects. 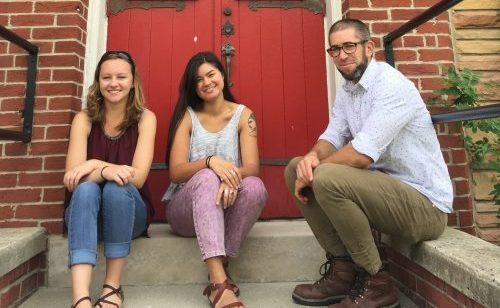 9 Ministry Summer Service interns explored their vocations in ministry placements across the country. Volunteers maintained a Brethren presence in 9 different countries. Over 377 deacons and church leaders attended 9 deacon training events. 19 BVS volunteers served at international projects, and 11 international students served in the US. 98 individuals participated in the Church Planting Conference. 152 Global Mission Advocates are now connected to the network. 165 individuals attended 4 Intercultural Ministry related events. 140 participants served at 8 workcamps. 83 congregations began or continued participating in the Vital Ministry Journey. 62 individuals represented 13 districts at Young Adult Conference. 3 Mission and Ministry Board meetings were held and 3 new members were welcomed. 684 congregations financially supported the Church of the Brethren. 151 donors gave to the core ministries of the Church of the Brethren for the first time. Thank you for generously giving to your church. Your faithful support is inspiring, and ensures that the many life-changing, loving-giving ministries of the Church of the Brethren will continue into the future. If you are excited about or have been blessed by the ministries of the Church of the Brethren, support them at www.brethren.org/give . summer adventures at orientation in May. “I hereby command you: Be strong and courageous; do not be frightened or dismayed, for the Lord your God is with you wherever you go” (Joshua 1:9). It is both exciting and challenging to begin a new adventure: move to a new place, start a new job, meet new people. But as people of faith we trust that, wherever we go, God will be there. This summer I, along with several other young adults, had the opportunity to put our faith into action through Ministry Summer Service (MSS) of the Youth and Young Adult and Ministry Offices of the Church of the Brethren. 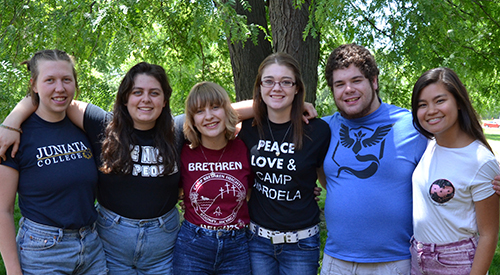 MSS provides young adults with summer ministry experiences in congregations, camps, district offices, and national programs. I participated in MSS as a seminary student seeking leadership development in a Brethren congregation, and I was blessed to serve at the Elizabethtown Church of the Brethren in Elizabethtown, Pa.
One of the most important lessons I learned this summer was finding confidence and trusting in my authority as a young, female minister. This was something that my MSS mentor, Pastor Pam Reist, and I discussed at the beginning of the summer, and it was a repeated theme throughout my experience. My 10 weeks at ECOB was an affirming exercise in finding my confidence as a minister and learning to trust in that authority more each day. During my time at E-town, I also learned that pastoral ministry—being invited into people’s most special and vulnerable times—is truly a privilege. 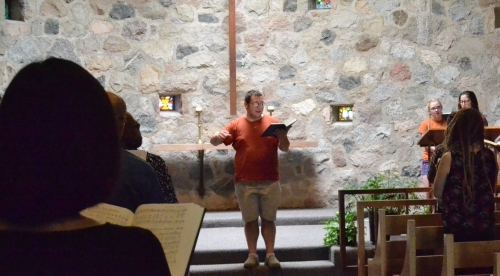 This summer I was present for and participated in anointings, funeral services, post-surgery prayers, end-of-life blessings, communion, and many other moments of vulnerability, connection, and community. I learned that pastors have a unique role in the Christian community, and to serve as a pastor of a Brethren congregation is a challenging and rewarding call. God was surely at work this summer—in the ministry of MSS, in the congregations, camps, and offices who welcomed interns, and in the lives of those young adults who took on a new adventure to serve the church. I am thankful for Ministry Summer Service and the gift it offers young, emerging leaders in the Church of the Brethren. Learn more about MSS at brethren.org/mss or by emailing bullomnaugle@brethren.org . Support this important ministry at brethren.org/give . This summer I enjoyed hosting Ministry Summer Service interns for barbecue, traveling to visit your congregations, and attending Annual Conference and National Youth Conference. In these places and others, I have found myself standing on holy ground. You and I are blessed to serve a God who uses ordinary people like us in extraordinary ways: in our congregations, communities, country, and world. When I hear about congregations fundraising to send youth to National Youth Conference, I am filled with hope for the future of our church. When Brethren gather to study scripture in intentional community on the Vital Ministry Journey, I give thanks for our foundation in God’s word, and for the way we value each other. When another Brethren Volunteer Service unit completes orientation, and when workcampers travel to Haiti, Pennsylvania, or Washington, I am blessed by the ways Brethren show God’s love by being the hands and feet of Jesus. When I talk with partners in South Sudan, North Korea, Haiti, or Nigeria, I am humbled by the far reaches of our ministries and moved to prayer for sisters and brothers around the world. We are truly a blessed people. We have a voice that the world needs to hear and a light the world needs to see. Our sisters and brothers in the Church of the Brethren in Nigeria also carry that light, even as they face incredible trials and violence. They follow Jesus, enduring in faith, remaining dedicated to peace and showing love to everyone—even those seen as enemies. Whether in Nigeria, Columbus, Fort Collins, or our own hearts, the journey of receiving the reconciling grace of Jesus is not easy. We discover that discipleship is often difficult, and we experience chaos because we are God’s people. Yet in the wild and crazy times of life, we may discover that we are standing on holy ground, standing in the presence of the Holy Spirit, God’s shalom, and Christ’s peace. Support the life-changing ministries of the Church of the Brethren today at www.brethren.org/give .